How adorable are the prints on the GetSocked socks featured above? They are made out of bamboo which feels softer to touch and is more stronger wearing. The socks are antimicrobial and most importantly they are so comfortable to wear. These are so perfect for your partner, father, brother, cousin or even friend as they never can't get enough of vibrant looking socks. I love it when I come across a good pair of quality socks for a decent price because you know that's not too overpriced and it's worth getting. Quality is always the way to go! I know that there are many beauty subscriptions out there but I thought a sock subscription was pure genius. It's perfect for your man or loved ones - that way they can also get a fix of their socks so that they can have a new pair every month. 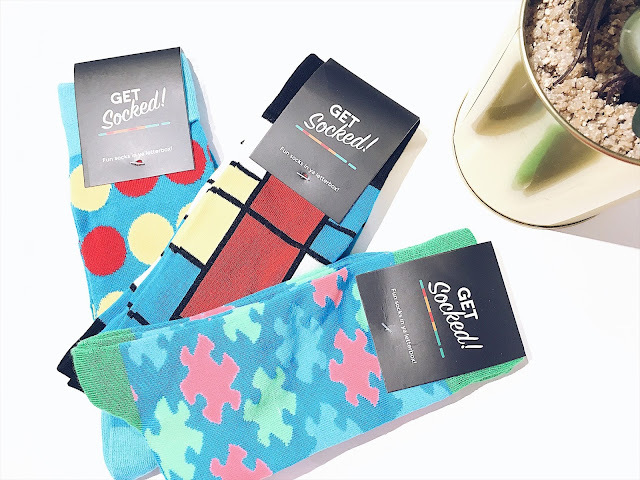 The GetSocked range is a monthly sock subscription that gets delivered to your door. So getting that little extra surprise in the post is always a good feeling. (Say goodbye to boring black socks and amp it up with more fun looking ones). 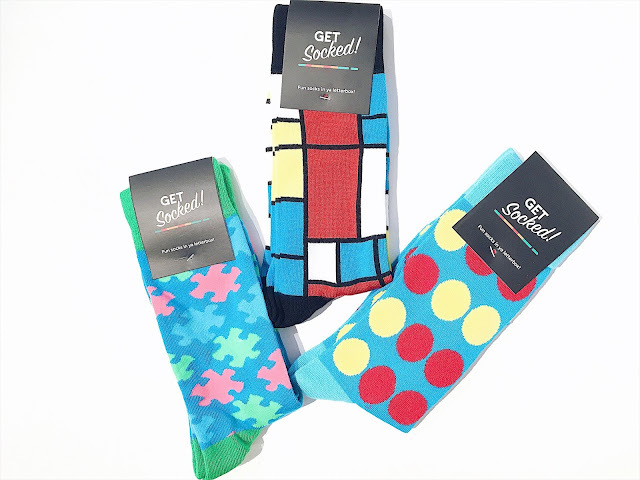 However, if you don't like the surprises, you can also choose the socks yourself on their online store. There are so many funky designs, colours and patterns to choose from and it's definitely far from being boring. Overall, these are absolutely a great idea as the convenience of receiving funky looking socks is amazing. We all know that majority of Men wear socks, so why not spice things up and get them subscribed to the GetSocked monthly subscription which I am sure that they would appreciate the thought. What did you think of the above?